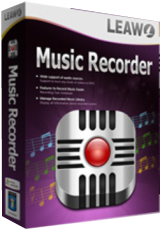 Leawo Music Recorder 2.3.1 was available as a giveaway on October 12, 2018! How would you improve Leawo Music Recorder 2.3.1? Check for current audio device drivers, else BSOD! Leawo iTransfer provides perfect solutions for iPhone, iPad and iPod transfer issues. It’s quite easy to transfer 12 kinds of files, including apps, photos, music, videos, SMS, contacts, and so on between iOS devices, iTunes and PCs. It can also back up iPhone, iPad and iPod (touch) files to computer. Special 40% OFF Sale for GOTD users! 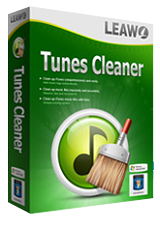 Leawo Tunes Cleaner is an all-in- one iTunes cleanup program that could smartly clean up iTunes library, detect and delete duplicates in iTunes, get album artwork iTunes, download and add music tags like album, song name, artist, year, etc. to complete music info, allow manual editing of music tags, save unfixed music files for future fixing, etc. Special 40% OFF Sale for GOTD users! I also got invalid code 100201 when I tried to install the upgrade. Had the old version , loved it , worked great. Was waiting for GOTD to post or email a solution to the error. Have only seen the solution today on Leawo website. As the GOTD offer has expired , now have no version at all. I think the reade me notes should have instructed people to uninstall older version first. Any chance you could send me the free version again or even let me get back to old version. Great prog, shame to loose it. I also got invalid code 100201 when I tried to install the upgrade. Had the old version , loved it , worked great. Was waiting for GOTD to post or email a solution to the error. Have only seen the solution today on Leawo website. As the GOTD offer has expired , now have no version at all. I think the reade me notes should have instructed people to uninstall older version first. Any chance you could send me the free version again or even let me get back to old version. Great prog, shame to loose it. The fact that the program installing a driver just for recording audio is a bit iffy. 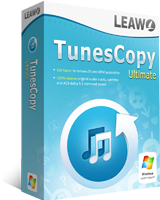 What's the benefit of it over using other software like Audacity or built-in Sound Recorder in Windows? VTC,...... built-in Sound Recorder in Windows? Hopelessly outdated little program! Van Broecke, it's simple enough for what it does. Also that doesn't answer my question. Regarding the comment before me, that APEAKSOFT SCREEN RECORDER works better... Well, that is totally different software, and also, it is hijacking your browser and launches popups each time you start the computer. That part I didn't like at all about Apeaksoft. I had this program before and I was happy with, so I jumped at the chance to install it. It installs and works without a problem in win 8 and win 7. On win 10 it installs but for some reason, it tells that no Leawo Audio Device is installed... Regarding the comment before me, that APEAKSOFT SCREEN RECORDER works better... Well, that is totally different software, and also, it is hijacking your browser and launches popups each time you start the computer. That part I didn't like at all about Apeaksoft. Why an I getting invalid code when I enter the serial number??? Tried everything suggested but to no avail. Nothing should be this complicated to install nowadays! Works perfectly for recording streaming music. Works perfectly for recording streaming music. <br> Thumbs up!!! Installed after I uninstalled my older version and registered fine but and I say BUT !! every time I try to record another window pops up and says Leawo audio device is not installed and asks install now I click on OK and nothing happens. The window closes and nothing I click on record button again and same window opens saying same thing. Can't do nothing with this program complete waste of time PLUS!!! I lost my older version which worked now I have no program thank you very much Leawo !! I followed instructions to the max and nothing except that little window saying to install Leawo audio device and doesn't matter whether I click on install or no program does not work!! Installed after I uninstalled my older version and registered fine but and I say BUT !! every time I try to record another window pops up and says Leawo audio device is not installed and asks install now I click on OK and nothing happens. The window closes and nothing I click on record button again and same window opens saying same thing. Can't do nothing with this program complete waste of time PLUS!!! I lost my older version which worked now I have no program thank you very much Leawo !! I followed instructions to the max and nothing except that little window saying to install Leawo audio device and doesn't matter whether I click on install or no program does not work!! Like most everyone else I also keep getting the Invalid License (100201) message. I looked to see if I had an old versin already installed but that was not the case. I have installed many other Leawo Giveaway of the Day offerings without any issues in the past. It is a shame this one does not work. Yes indeed! Uninstalling the old version and reinstalling the new allowed the new license to validate. Thanks, gru! gru, You did indeed solve it! Your procedure worked for me also. Thank you! Thank you for your tip. I, too, encountered the same registration problem as most everyone here trying to install today's giveaway over an existing older version. After uninstalling the program and re-installing it again, I was able to register it successfully. This was on my Windows 7 (64-bit) system. gru, Thank you for your tip. I, too, encountered the same registration problem as most everyone here trying to install today's giveaway over an existing older version. After uninstalling the program and re-installing it again, I was able to register it successfully. This was on my Windows 7 (64-bit) system. Invalid license, which is a shame because I already had an older version installed which was replaced. "invalid license" like everyone else! @GOTD: Do you already know more about this issue? Will there be a solution in the future/tomorrow or not? Is Leawo aware about? And thank you so much for giving us so useful programs each day! Like many others... I can't register. I received the registration code via email but getting the Invalid License. (100201) message. Also tried to cut & paste code, even manually but 'invalid'! Useless unless this can be sorted out. Pity about the dirty tongue, but thanks for the tips about the process and alternatives. Robert, MP3MyMP3 and PlayIt Recorder are two free alternatives. Timers too. Audacity is much more complicated. You are correct...don't bother listening to others...if you didn't download the actual file in whatever format it is in...(wav, mp3) which is digital, and are 'listening' to it while recording instead...then it has been converted to analog....period. These programs record off of your sound card...it is analog. Robert, You are correct...don't bother listening to others...if you didn't download the actual file in whatever format it is in...(wav, mp3) which is digital, and are 'listening' to it while recording instead...then it has been converted to analog....period. These programs record off of your sound card...it is analog. FJL, How complicated is it to click a that big red record button in Audacity..? An e mail will arrive with the reg. #, but you can't cut and paste it in, it must be manually put in b y hand. Also, I shut off my anti-virus first so that it wouldn't be an installation issue. Works very well. Many thanks, GOTD. Installed perfectly on Windows 7 Home Pro 64 bit. Once it's installed, you have to go to the web site to get the reg. # An e mail will arrive with the reg. #, but you can't cut and paste it in, it must be manually put in b y hand. Also, I shut off my anti-virus first so that it wouldn't be an installation issue. Works very well. Many thanks, GOTD. It doesn't seem able to search for and find specific music (e.g. by title or artist) in the first place. 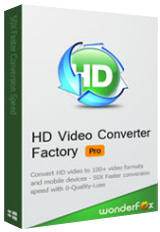 It only downloads it after you've found it yourself - many programs can do this, including free ones. -- AND it promises to look up the possible known song metadata, so recording from a USB turntable might, may, might name the songs without you having to type ( otherwise, try free [ Music Brainz Picard ] to auto name sound files if possible ). ... and not usually free [ Audials ] which can search and record and piece together songs from Internet radio.
. [ tomcat ], Correct, Leawo Music Recorder is a recorder of anything, like -- Skype calls, -- private presentations that are not searchable ( YouTube also has non-searchable presentations ), -- tweaking of your on to your own or anyone else's audio presentations, such as speed up or slow down an existing track and re-record it, -- use your PC laptop inbuilt microphone to record in your room, -- plus timer scheduling, as well as auto breaking files at gaps, such as when recording a vinyl disc from a turntable, -- AND it promises to look up the possible known song metadata, so recording from a USB turntable might, may, might name the songs without you having to type ( otherwise, try free [ Music Brainz Picard ] to auto name sound files if possible ). To search for existing songs on YouTube, try free [ AbelsSoft . de ] [ YSD YouTube Song Downloader ], which does videos, too, ... and not usually free [ Audials ] which can search and record and piece together songs from Internet radio. .
Has anyone had succes registering? I did receive an e-mail with a code, but the code is rejected as invalid. I tried with anti-virus either on or off, but no luck. Any suggestions? Has anyone had succes registering? I did receive an e-mail with a code, but the code is rejected as invalid. I tried with anti-virus either on or off, but no luck. Any suggestions? Downloaded and installed - no problem - I did have to disable Avast until installed. Had to enter reg code manually, but it worked. You have to enter your name and email at the provided link to get the reg code. Did a test record on a youtube vid and it worked. Thank you GAOTD! Been waiting on this. Try [ Ctrl ][ V ] to paste when [ Right-click ] does not pop up a paste menu.
. [ Loves Me Some Free ], Try [ Ctrl ][ V ] to paste when [ Right-click ] does not pop up a paste menu. . Complete waste of time. Wanted to try and buy because I need a program such as this. Uninstalled and will stay away from this publisher. Keeps telling me the device is not installed..... Complete waste of time. Wanted to try and buy because I need a program such as this. Uninstalled and will stay away from this publisher. Thanks GOTD. Jon, you could try Audacity: free and more professional than Leavo, it doesn't require installing audio drivers like this. Roberto P, Actually, last time I installed Audacity, it required dropping a file into its root folder to allow MP3 compression after editing the original wave recording. (No big deal, they just don't have a distribution licence for it. They tell you what you need and where to put it.) Agree, great program! Jon, try Moo0 Audio Recorder ... a very simple sound recorder. Just install and use no other installations required. I also have Audacity but I find Moo0 even easier to use. It supports MP3 and Wave file formats as well as scheduling. Folks, please be careful about MooO Audio Recorder. The downloaded file contains malware according to the VirusTotal scan, and it has received - 24 (minus! twenty four) score by VT community. Tester, Folks, please be careful about MooO Audio Recorder. The downloaded file contains malware according to the VirusTotal scan, and it has received - 24 (minus! twenty four) score by VT community. Just saying. consuella, As a past network administrator I can, without question, tell you that VirusTotal Scan is giving you a false positive. If you want to monitor what's going on your system install a program called GlassWire. It Monitors network traffic and usage and will immediately alert you with a popup screen. A simple test, try running a task manager program to see if Moo0 shows up on the list. You are implying that there is only one detection by saying that it is " a false positive". Therefore, your statement is rather incorrect. The downloaded MooO file has been detected by SEVERAL engines as containing trojans and other malware. By the way, true experts warn against treating false positives too lightly. And that's because thanks to the fact that some engines are better in early detection of new threats, some "false positives" might not be so false, and they can be rather REAL threats. Tester, You are implying that there is only one detection by saying that it is " a false positive". Therefore, your statement is rather incorrect. The downloaded MooO file has been detected by SEVERAL engines as containing trojans and other malware. By the way, true experts warn against treating false positives too lightly. And that's because thanks to the fact that some engines are better in early detection of new threats, some "false positives" might not be so false, and they can be rather REAL threats. Furio Petrossi, the same happened to me, please if any solution. Is this another 6-month offer? Eddie, Yes, I agree. If only 6 month, not good. I will try if unlimited wo updates. Then if I find it useful, I will purchase.